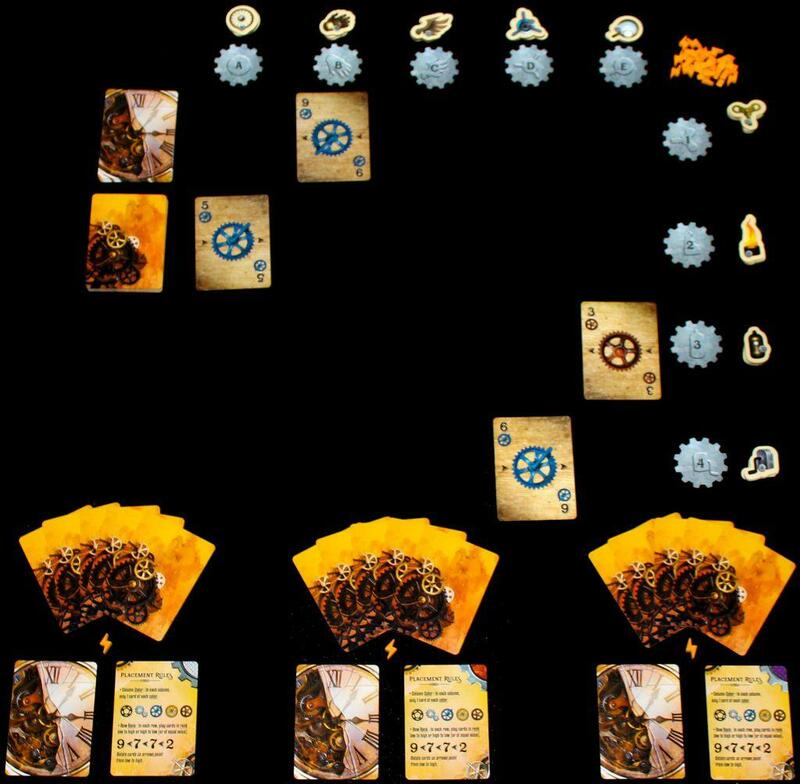 Gearworks is a steampunk strategy card game featuring card placement, hand management, and a "twist" on area control. Strategically position your gears to fix a mysterious clockwork machine in the corner of the workshop. Collect parts created by the machine each round by being the last player to fix its various components. 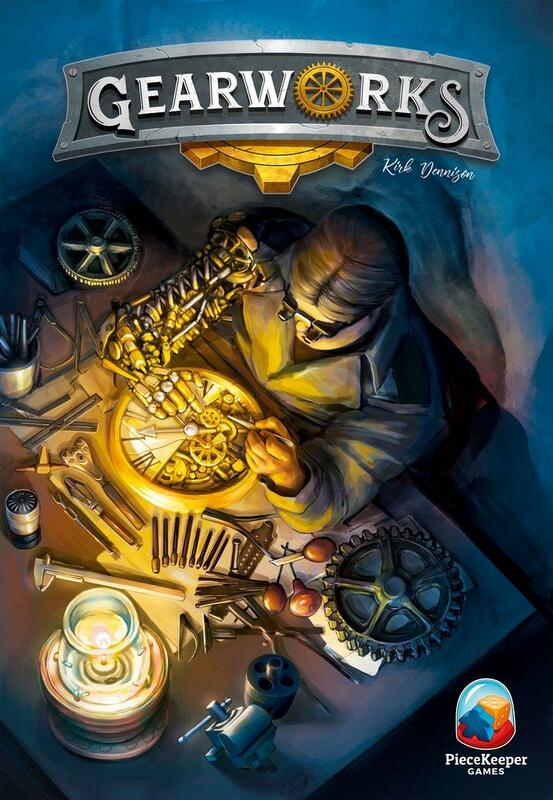 As a tinkerer, you can certainly put those parts to good use and create fantastical contraptions!